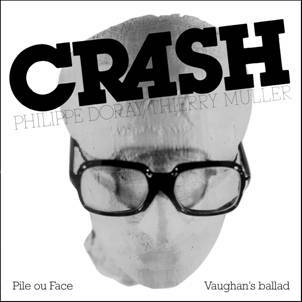 “Early 80, years after the release of Nouveaux modes industriels and 10 suicides while I was working on the first recordings of Polaroid/Roman/Photo, Philippe Doray and myself decided to work jointly on a project for concerts: Crash (both great readers of JG Ballard) was born. This project included new songs, tracks' adaptations of each and improvisations. We made some concerts in France and the Netherlands.” TM. Two legends of the french underground, Thierry Müller (Ilitch, Ruth, …) and Philippe Doray (Rotomagus, Philippe Doray & Associaux Associés) in a joint effort. 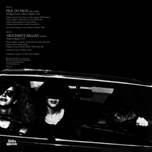 Both tracks are taken from rehearsals recorded in 1984 at Studio Anagram and at Montérollier. Pile ou Face has been released within a different mix on a simple sided 7” which was given with the first issue of Inaudible magazine (this version can be found on CD format on the recommended Thierry Müller compilation “Rare & unreleased 1974-1984” released by fractal records). Vaughan's ballad has not been released elsewhere. (listen to mp3 excerpts). More information concerning other Thierry Müller projects can be found on his website.